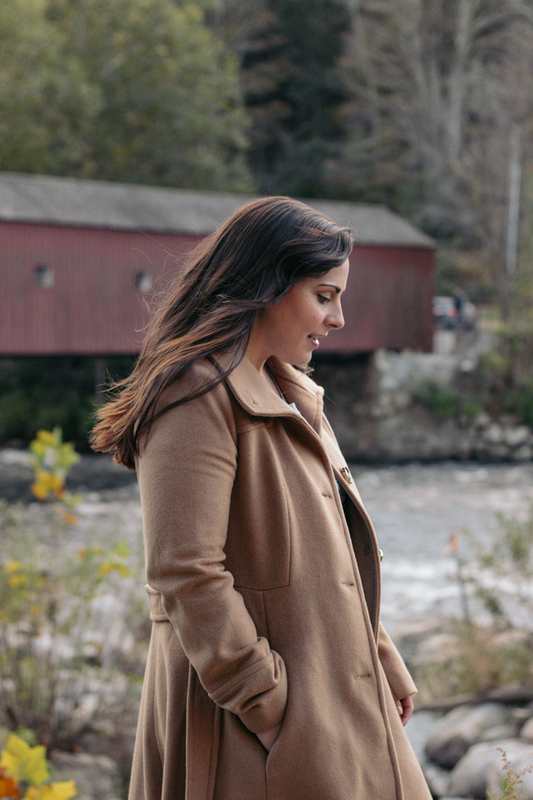 A good camel coat is something that everyone should have in their wardrobe, especially New Englanders. They're a classic; marrying both function and style. We can have some brutally bitter cold days and nights, but you don't always want to throw on an unflattering puffer coat. Sometimes you want to look a little more polished. A camel coat is the perfect choice for those situations. These coats versatile enough to wear them over a fancy dress or jeans and a t-shirt. They can also be layered with scarves and sweaters for extra warmth. I always recommend sizing up for outerwear so that you can layer without feeling like the kid in A Christmas Story if you want to wear your coat over a couple layers. 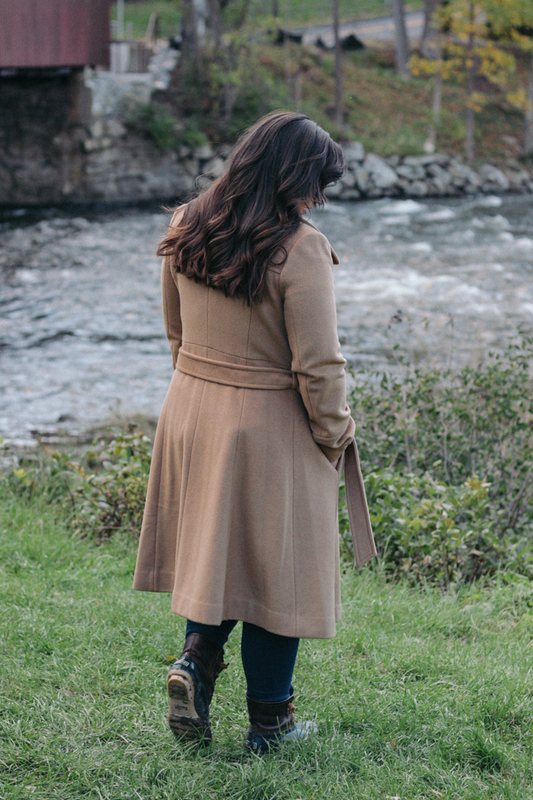 There are so many different versions of the camel coat that you're sure to find one to match your personal style. They also come at all different price points, although I think it's better to invest in a good quality one that will last you for years. That's not to say that you have to drop $500-$2000 on one. You can find good ones at lower prices, just watch the quality so you don't have to replace it after a season or two. 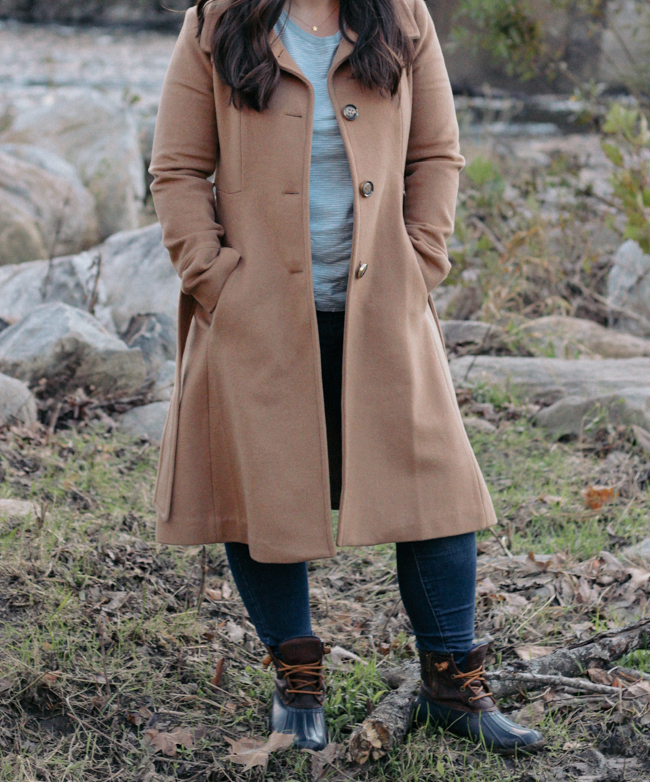 My exact coat is a couple of years old, but I've linked some similar ones below along with the rest of my outfit details. 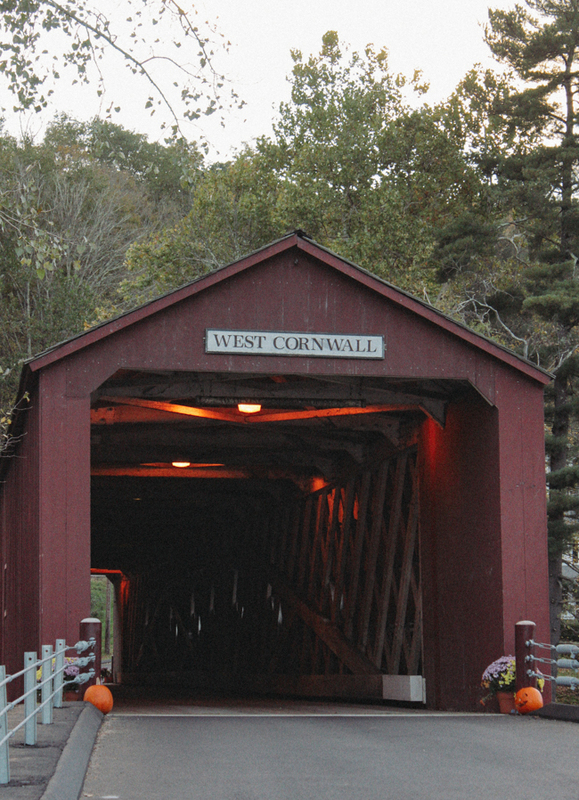 Also featured in this post is the West Cornwall Covered Bridge in Sharon, Connecticut. 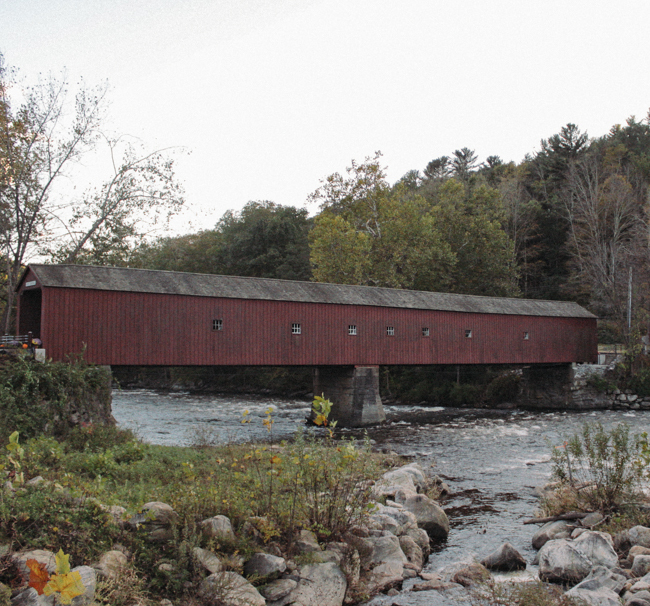 This lovely covered bridge spans 172 feet over the Housatonic River. The bridge is believed to have been constructed in 1841 after the previous bridge was washed away by a flood in 1837. This is the second oldest covered bridge in the state of Connecticut and was added to the National Register of Historic Places in 1975. Love this coat! Great style for fall! 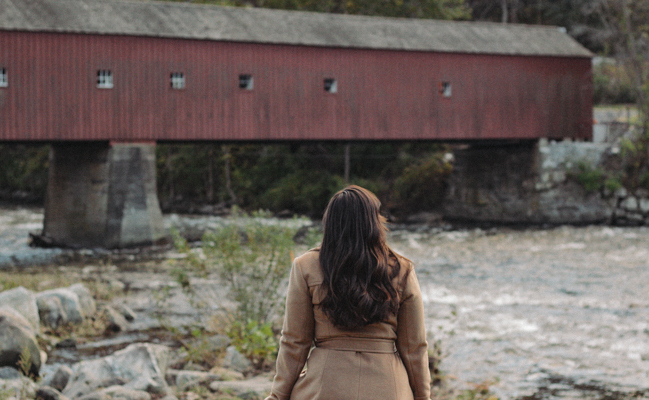 I love the coat and the covered bridge! My dad is from NH and covered bridges always remind me of trips up north to visit my grandparents. This is a lovely coat! Such a cute outfit! Love our coat! Camel coat is such a statement piece. I really love them and every winter I need new one. I can't have enough quality camel coat. I am loving the color of this coat! So perfect for fall! This is such a lovely classic coat, so pretty on you dear! 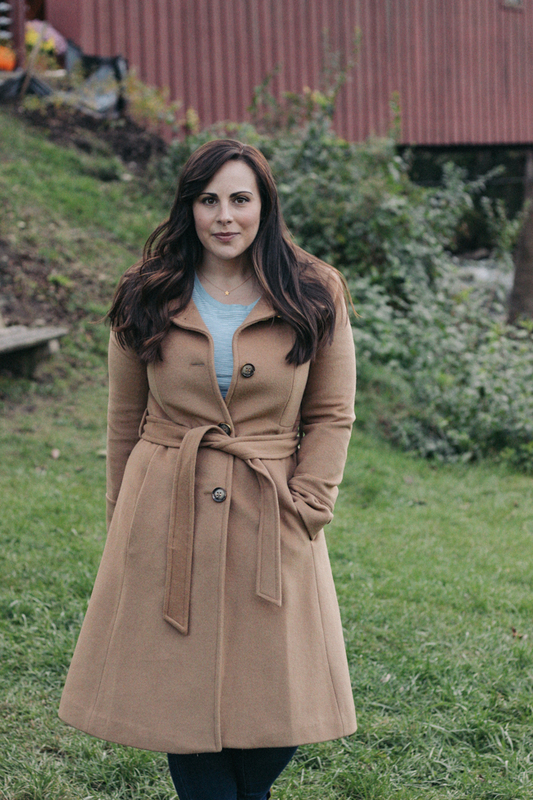 This coat is just awesome, Lauren.